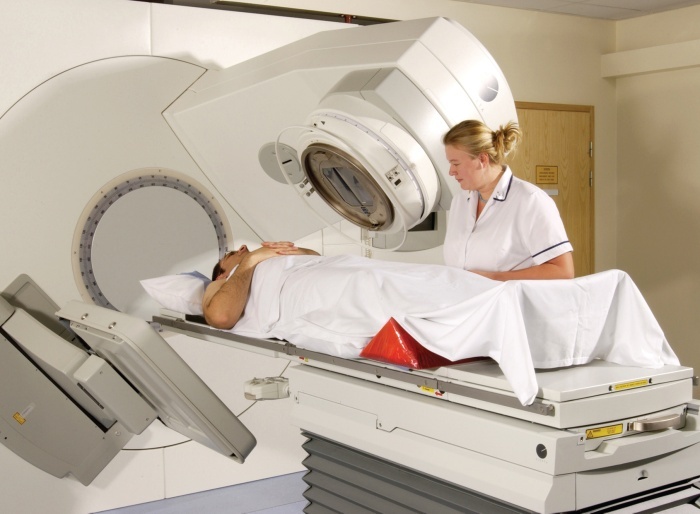 Because prostate cancer might have high radiation-fraction sensitivity that gives a therapeutic advantage to hypofractionated therapy, researchers compared the efficacy and safety of conventional radiotherapy with hypofractionated therapy. For this phase 3 CHHiP trial, investigators enrolled 3216 patients from 71 centers; each patient enrolled had localized prostate cancer. Participants were randomly assigned 1:1:1 to conventional (74 Gy administered in 37 fractions over 7.4 weeks) or 1 of 2 hypofractionated schedules (60 Gy in 20 fractions over 4 weeks or 57 Gy in 19 fractions over 3.8 weeks). All approaches were delivered with intensity-modulated techniques; most patients received 3 to 6 months of neoadjuvant and concurrent androgen suppression. At a median follow-up of 62.4 months, the 5-year biochemical or clinical failure-free rate was 88.3% (95% CI, 86.0-90.2) in the 74 Gy group, 90.6% (95% CI, 88.5-92.3) in the 60 Gy group, and 85.9% (95% CI, 83.4-88.0) in the 57 Gy group. Researchers found that 60 Gy was non-inferior to 74 Gy (hazard ratio, 0.84; 90% CI, 0.68-1.03; P = .0018), though 57 Gy was not non-inferior to 74 Gy (hazard ratio, 1.20; 90% CI, 0.99-1.46; P = .48). Long-term adverse events were similar between the hypofractionated radiotherapy arms and the conventional group. Investigators did not observe a significant difference in the cumulative incidence of adverse events within 5 years of treatment. The estimated cumulative 5 year incidence of grade 2 or worse bowel and bladder adverse events was 13.7% and 9·1% in the 74 Gy group, 11.9% and 11.7% in the 60 Gy group, 11.3% and 6.6% in the 57 Gy group, respectively. The findings suggest that hypofractionated radiotherapy at 60 Gy in 20 fractions can be recommended as a new standard of care for external-beam radiotherapy of localized prostate cancer. Dearnaley D, Syndikus I, Mossop H, Khoo V, Birtle A, Bloomfield D, et al. Conventional versus hypofractionated high-dose intensity-modulated radiotherapy for prostate cancer: 5-year outcomes of the randomised, non-inferiority, phase 3 CHHiP trial [published online ahead of print June 20, 2016]. Lancet Oncol. doi: 10.1016/S1470-2045(16)30102-4.